Ornate. Imposing. Or simply grand. When it comes to stately furniture, the Victor Solidwood Buffet takes the cake. Available in a shade of light walnut, this exquisite piece has been crafted from 25mm thick Sheesham wood. A beautiful live edge design runs through the piece, and can be found in other furniture pieces of the same collection. The high table top can be used as a buffet serving space, while you can store your precious vintage collection in the twelve-space bottle rack that comes with this piece. You’ll also find that all the drawers slide easily in and out, thanks to a convenient in-built metal channel. Display your finest crockery in the glass cabinets at the bottom of this piece. You’ll love how grand your finest china looks, under the light of the battery-operated LED lights that turn on when you open the cabinet doors. 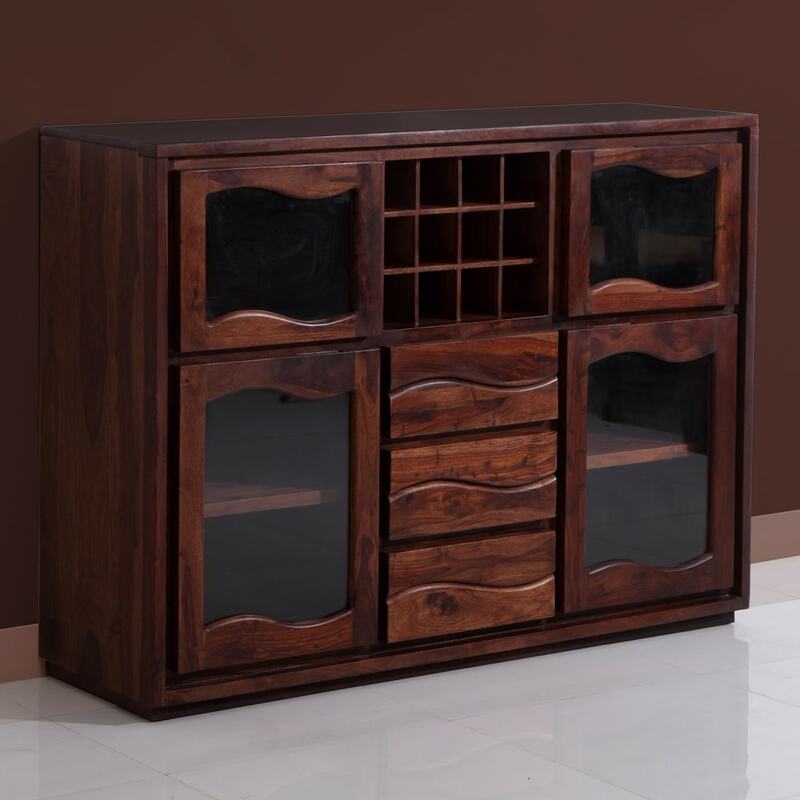 You can choose to buy this piece from our online furniture site, or visit any of our 25 furniture stores across India for the best deals in home furniture.